There are many manifestations of anxiety that all of us with fibromyalgia experience: heightened startle response, hyper-vigilance, excessive worrying, sleep disturbances, nausea, racing heart, and many others, almost too numerous to cite. So, how do we differentiate between those which are the result of our fibromyalgia symptoms and those which are the usual signs of anxiety? Smith talks about the differences between his anxiety, which he calls “free floating” and that of his brother Scott, whose anxiety is “somatic”. The latter is “more physical”, which is how I define fibromyalgia anxiety. He describes it this way:” It starts with a twinge or an unaccustomed tightness and then rises to his mind, which, in the natural process of investigating the sensation, magnifies it, which results in further investigation, which further magnifies the sensation, creating a feedback loop…”. (p.26). Unfortunately he labels this as hypochondriasis, which is not a term I am too fond of because it implies we are malingerers. Otherwise, it is how I perceive those of us with fibromyalgia physical pain as a result of heightened anxiety. The anxiety triggers we people with fibromyalgia experience in childhood cause us to clench and tighten our muscles, keep our central nervous system in a state of arousal, influence the amygdala to live in a state of hyper-vigilance and catastrophic thinking, resulting in chronic pain and subsequent fatigue along with other signs of dis-ease. Like Smith I agree that we can never be cured of anxiety, but there are strategies that will help us to address those thoughts that are going through our brains in the moments of anxiety in order to live more comfortably. While he does not use this language, nonetheless it is called ‘living in the moment’, by exploring what the thoughts were before the feelings of anxiety developed. In Mindfulness Meditation practice there is a mantra often used: “thoughts are not facts”. Smith taught himself to shine a “mega- flashlight” upon himself and ask: “Had I been thinking something beforehand? Was it something anxious? Had I spooked myself?” (p.200). The book The Mindful Way through Depression by Williams, Teasdale, Segal and Kabat-Zinn (shown on May 13, 2013 blog) is one which is extremely helpful as there is a focus on ‘cognitive behavioral therapy’ which is, in my view, imperative for those of us with anxiety, panic disorder and depression- the big 3 of emotional issues facing fibromyalgia sufferers. Along with many others who suffer from anxiety, I have been fortunate to have taken two separate 8 week courses in Mindfulness-based Cognitive Therapy (MBCT) from two phenomenal therapists. But if one is not available in a specific geographical area then there are courses available on-line. Many of the readers of my 100+ blogs are on long term disability, sick leave, fighting for benefits and unable to afford years of therapy. However, as a group we are highly sensitive, intuitive, and generally very reflective. The simple-but- difficult ( a conundrum!) task of exploring our own thoughts as we experience unwelcome dis-ease feelings can only help us along the path to self knowledge. Listening to the cd that accompanies the Mindful book is one in which Kabat-Zinn leads us through a body scan. Daily practice of a body scan helps with the tight shoulders, stiff neck, nausea, shallow breathing, clenched jaw and so on that are the struggles of fibromyalgia and chronic fatigue persons. But it is more than a technique, rather it is a way of living with whatever state our bodies are in at the moment; it is not a cure in the usual sense of that word. But, it is rapidly gaining in popularity among a variety of professions and settings – the arena of contemplative neuroscience has embraced the research of the body-mind connection and there are exciting days ahead. Anxiety is a plague that affects millions of people but it is the life long heightened anxiety that is a clue regarding the cause of fibromyalgia and chronic fatigue. The good news is that it is possible to change our brains, but it takes discipline and practice- hence the phrase ‘ Mindfulness PRACTICE’. Thanks Valda: Love your comments. I agree that many of us have Willis-Ekbom (restless leg syndrome) but so do many others who do not have fibro. We must agree to disagree. In my view fibro is caused by a particular type of personality- people who are highly sensitive, overly emphatic, easily stressed, fearful and anxious. I don’t believe it is a ‘disease’ but I agree that some diseases, like thyroid issues can evolve from a life long struggle with anxiety that has worn down the systems. But who knows which of us is right? It is the old chicken and egg dilemma. I agree with you about anxiety – for sure – and I have something to add to your words about CBT, cognitive behavorial therapy. 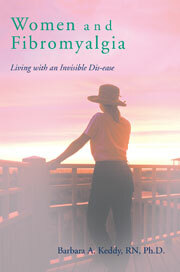 I am the author of recently published FIBROMYALGIA RELIEF (Lars Clausen). I would love to share this book with you, and if you email me with an address I’ll mail it to you or send an ebook. In terms of brain-science my understanding is the CBT helps us build new neural networks that allow us to cope with existing situations better. A recent neuroscience discovery adds an important addition to our understanding of brain function. This discovery is called Memory Reconsolidation. Made in 2000, some 500 research papers have been published, but to date the discovery remains mostly in the lab. Essentially, Memory Reconsolidation shows that when a past memory is activated a RECONSOLIDATION process must happen for the memory to be stored again – new proteins must be synthesized and “reglue” the synapses that connect the memory. My book explains this, and in my work with clients I help them to remove the charge from old stored memories/experiences. The result is a greater degree of calm in daily life, and a reduced level of symptom pain. I am writing to you because you are a writer, a nurse, a person with a voice in this area. I do hope you find this as exciting as I do – all my client work, and all my writing is now based on the insights that come from Memory Reconsolidation. Thank you for this information, Lars. I am happy when people like you agree with me that the pain of fibromyalgia is in the brain and that the brain can be changed. It seems like I have been writing about this for such a long time, yet there are those who are still trying (in my view, in vain)to find a ‘disease’ entity for fibromyalgia. When I theorized in my book that fibromyalgia was the result of a hyper aroused central nervous system and then further to that on many blogs about the amygdala – the fight or flight mechanism of the brain as being at the root cause of fibromyalgia, it was a different perspective than the disease model. The relationship between Post Traumatic Stress, the so-called Gulf war Syndrome, chronic anxiety, panic attacks and so on, I, like you, know there are strategies one can employ to bring about different neural pathways that can change the ways in which we handle these fearful messages/memories to the brain. It is very encouraging to read about your approach. Mindfulness meditation is key here- living in the moment as we train the brain to change the circumstances of those habitual patterns that have their roots in fear. I wish you every good wish for success with your clients as you work to help them ‘stay in the moment’ and not in the painful past. Hello again Barbara. Seems we have some similar understandings. The scientific discovery of Memory Reconsolidation adds an important and different brain function finding to strategies such as CBT and Mindfulness. With all your background, might you be interested in reviewing FIBROMYALGIA RELIEF. It’s a quick read, and I’m pretty sure you’ll feel as fascinated as I did when I became aware of what Memory Reconsolidation helps us understand and practice. I’ve had four major flare ups now (as an adult) linked everytime with a very stressful situations and massive anxiety attacks. Dear Stuart: I am happy you have sent in several comments as it isn’t often I hear from men who also suffer from this demon! You are right on— fight or flight is easily aroused and then the CNS cannot calm down easily! Stress, anxiety, excitement, weather changes, extreme heat or cold can all cause a flare up.